Eleven-and-a-half-hour days of schoolwork, homework-laden evenings and early mornings, and long schedules of activities have youth sleep-deprived and stressed, with high school students suffering the most. What do teens think it will take to help them get the sleep they need and deserve? 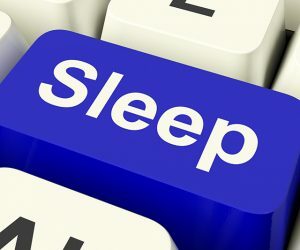 GENYOUth’s latest survey on teens and sleep, conducted in partnership with Sleep Number, offers new — and surprising — perspective on a topic of fundamental importance to supporting the whole child. Like nutrition and physical activity, adequate sleep is vital to students’ health and well-being and essential to learning. Sleep deficits among youth are well documented. Screen-based media is often cited as a contributor to widespread sleep deficiencies.